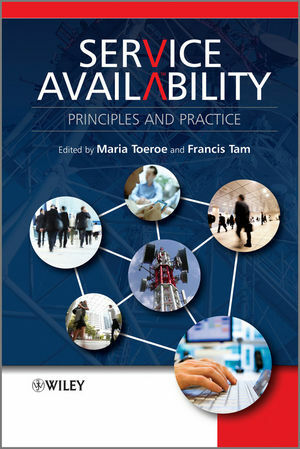 Maria Toeroe has been in the telecommunications industry for over 10 years conducting research and standardisation in the area of dependable software, service availability and fault tolerance utilizing the expertise she gained in her prior work in the academia related to formal description techniques and their use in protocol engineering. Having represented Ericsson in the Service Availability Forum since 2005, Maria has led several standardization efforts in different chair positions of the SA Forum Technical Work Group.? Within Ericsson she is also responsible for university collaborations related to her fields. She has been an Adjunct Associate Professor with the Department of Electrical and Computer Engineering of Concordia University since 2007. Maria holds a Diploma degree from the Institute of Engineering Economics Kharkov, a University Doctorate and a PhD from the Faculty of Electrical Engineering and Informatics of the Budapest University of Technology and Economics. Francis Tam has conducted research, development and standardisation in the dependable software area of service availability and fault tolerance in the telecommunications industry for more than 16 years. He has served as industrial adviser to three European Commission funded projects on dependable computer systems and frequently gives lectures on highly available systems to the Master of Engineering students at INSA Lyon in France. Francis holds a BSc in Computer Science from Queen Mary College (University of London), an MSc in Computing Science from North Staffordshire Polytechnic and a Doctor of Science (Technology) in Software Systems from Tampere University of Technology in Finland.